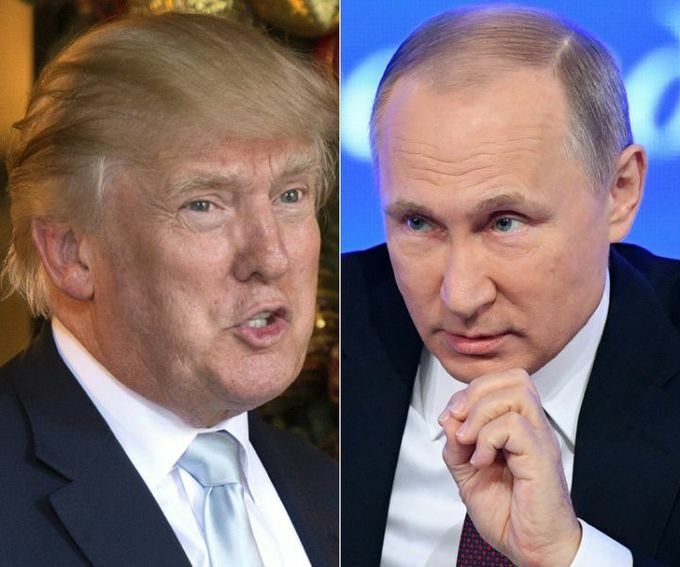 The July 16 head-to-head between the U.S. and Russian leaders in Finland will follow a NATO summit in Brussels. The July 16 head-to-head between the U.S. and Russian leaders will follow a NATO summit in Brussels that Washington's European partners fear will serve as another stage for Trump to berate them and scorn the Western alliance. Trump has long called for warmer ties with Moscow, but the talks come as Russia's relations with the West languish at levels not seen since the Cold War. Asked about the upcoming summit, Trump told reporters accompanying him on a trip to Wisconsin: "We're looking forward to it." "If we could all get along it would be great. The world has to start getting along." The meeting will likely provoke criticism for the U.S. leader at home, where investigators are probing possible collusion between his presidential campaign team and Moscow. Russia's annexation of Crimea and its support for separatists in eastern Ukraine, as well as Moscow's backing of Bashar al-Assad's regime in the Syrian conflict will also loom large. Next month's dialogue in Finland will see the two leaders discuss "the current state and prospects for development of Russian-U.S. relations," said the Kremlin. A statement from the White House said the presidents will also broach various "national security issues." Trump earlier said he expected discussions to be wide-ranging. "I think we'll be talking about Syria. I think we'll be talking about Ukraine. I think we'll be talking about many other subjects. And we'll see what happens. You never know about meetings what happens, right?" the U.S. president said. "I think a lot of good things can come with meetings with people." The announcement came a day after Trump's hawkish national security advisor John Bolton met Putin in Moscow, where he was given a warm welcome. "Your visit to Moscow gives us hope that we can at least take the first step to reviving full-blown ties between our states," Putin told Bolton at the Kremlin after the two smiled and shook hands for the cameras. Bolton said there were areas for cooperation, but added that the lifting of US sanctions imposed after the annexation of Crimea in 2014 would not be on the table. Both sides have played down expectations of what the talks can hope to produce, saying the fact Trump and Putin are meeting at all is an achievement in itself. Also on Wednesday, U.S. Secretary of State Mike Pompeo told US lawmakers he was sure that Trump would confront Putin about allegations that Russian agents interfered in Western elections - including Trump's own 2016 campaign. But one day later, Trump himself returned to Twitter to undercut his chief diplomat and declare: "Russia continues to say they had nothing to do with Meddling in our Election!" Since coming to power last year, Trump has sought to improve relations with Putin amid tensions between Moscow and the West. Finnish President Sauli Niinisto said he welcomed the planned dialogue. "The agenda of the meeting of Presidents Trump and Putin will be decided during the next two weeks, but they will certainly discuss the overall international situation and hopefully also arms control and disarmament issues," he said in a statement. "Even small steps in reducing tensions would be in everybody's interest." Trump said this month that Russia should be re-admitted to the G7 group of industrialized democracies from which it was suspended after annexing Crimea. That comment came at a summit which ended in sharp disagreement between Trump and his G7 allies. According to remarks first published Thursday by news site Axios, and confirmed by a European diplomat, Trump shocked his G7 counterparts by declaring "NATO is as bad as NAFTA" - the free trade agreement that he has threatened to tear up. Nevertheless, and despite Western diplomats warning against the message sent by the Russian meeting coming straight after the tense NATO talks, alliance secretary-general Jens Stoltenberg welcomed the summit. "Dialogue is not a sign of weakness, dialogue is a sign of strength. As long as we are strong, as long as we are united we can talk to Russia," he said. The last brief meeting between Putin and Trump took place in November 2017 in Vietnam during an APEC summit. Putin and Trump discussed holding a summit during a phone call in March, when the US leader reportedly ignored advice from his staff and congratulated the Russian president for his victory in elections that were criticized by observers as unfair. The US president is due to attend the July 11 and 12 NATO summit in Brussels before heading to Britain to meet with Prime Minister Theresa May and Queen Elizabeth II on July 13. Trump's summit with Putin will come about a month after his historic meeting in Singapore with North Korean leader Kim Jong Un, which produced a vaguely-worded statement on "denuclearization of the Korean peninsula."